This lipstick has to be one of my most loved lipsticks ever, hence the reason it looks a little worse-for-wear in these pictures. 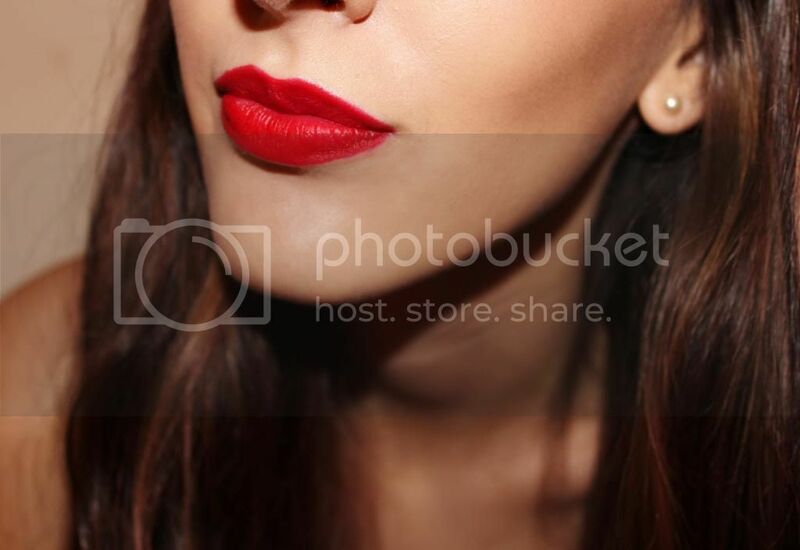 I think this lipstick is THE perfect Red lipstick. It has a matte formula and is a highly pigmented Blue-toned Red which gives it that, 'retro' look. 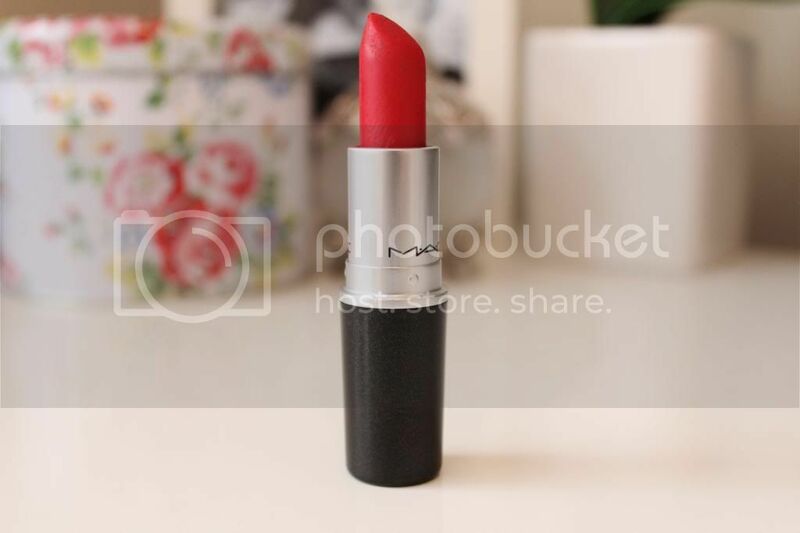 If you have pale skin like me, 'Ruby-Woo' is perfect as it really suits pale complexions rather than some of the other famous MAC lipsticks such as, Russian Red and Lady Danger, which do also seem lovely. 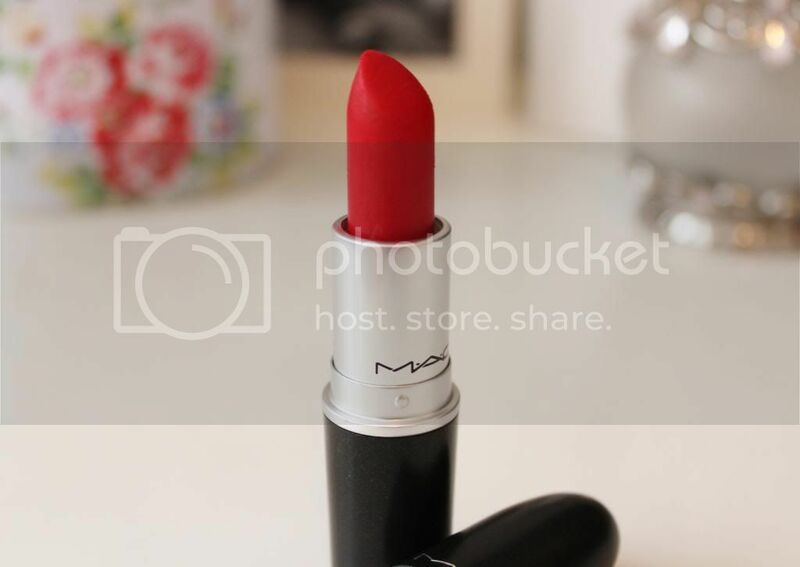 I just prefer this lipstick as it strikes me as a true Red toned lipstick. 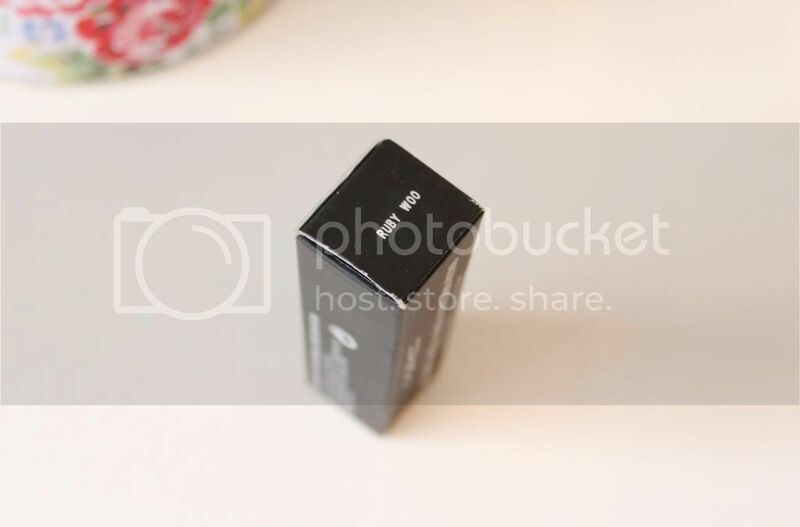 I love the fact that it's matte as I'm not a fan of shiny Red lipsticks and just prefer matte lipsticks in general even though they can be pretty drying. If I plan to wear this all day and/or all night then I would definitely prep my lips beforehand with my, Lush 'Sweet Lips' Lip-Scrub and then apply a really nourishing lip balm on my lips and leave it on whilst I'm doing the rest of my make-up. The good thing about this lipstick is that it just won't budge. Drinking and eating aren't an issue, it will last until you take it off with make-up remover. Even then, it doesn't leave a horrible Red stain on the lips either. 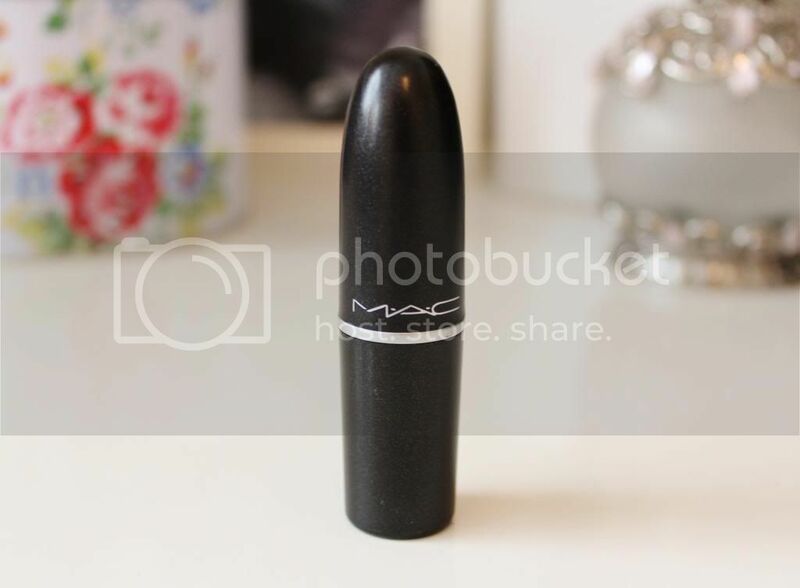 I teamed this lipstick with, MAC's, 'Cherry' Lip-liner which is a perfect match. I'd definitely recommend a lip-liner because this lipstick is matte so it's hard to draw a smooth line across the lips with the bullet as it doesn't glide as easy as other lipsticks. It also holds the product in place for a lot longer.